Manchester City are set to capture one of Barcelona’s brightest prospects in the form of Eric García, a a Spain under-17 international. It comes as another blow to Barcelona’s famous youth system, which has been undergoing something of a crisis of late. Described as ‘the best centre-back at La Masia’ by the esteemed Gerard Romero, the loss of García has left Barça fans furious at the board. To learn more about the 16-year-old, we caught up with David Cartlidge, a scout and Spanish football journalist. Eric García is a name almost no City fan would have even heard of until recently. What can you tell us about his background? Although born in Barcelona, Eric García has been residing in Martorell, just outside of the city. He came through various football schools Barcelona run before being picked up by the club in 2009. There he started out with the under-9’s at ‘Pre-Benjamin’ level before gradually working his way through the ranks. He’d been progressing well and by the time he reached under-14’s with the Infantil level his hype began to pick up. He was already a captain and notable for his leadership qualities at this age, which says a lot really. Gerard Romero and others say he is the best young centre-back at La Masia. Is he really that special? I’d be of agreement with this and so would anyone else who watches what goes on in La Masia regularly. Speak to anyone who knows it well enough and they will be more than enthusing about García. He’s the best by some distance, and I don’t just mean now – it’s in years. He has been compared to Gerard Piqué in the media. Is this an accurate comparison? I’d say this is an easy comparison, but also a good one. The similarities between the two in terms of playing style are quite striking. The ability to use the ball efficiently, in terms of passing range and being comfortable in possession, moving out of defence – it’s all there. There is a touch of Carles Puyol about the kid in terms of his mentality though, he’s very strong willed and determined, with that excellent natural leader glow about him. García is represented by Iván de la Peña and Barcelona legend Carles Puyol. The club can’t be too happy about their former captain guiding a player away from La Masia, can they? No, they’re not, but at the same time the club left the door open for various kids to leave. That was their own fault and while García will earn a handsome sum at Manchester City, he’s moving for sporting reasons above everything else. The player and his family don’t conduct themselves in that manner and the belief was this move would get more from García in terms of progressing. Pep Segura, who overlooks La Masia, was badly at fault here and didn’t take care of the player or show him any real respect. Barça handed the player an offer of renewal which was poor – from a sporting and financial perspective – and by the time they realised it was a poor one García had already had his head turned. 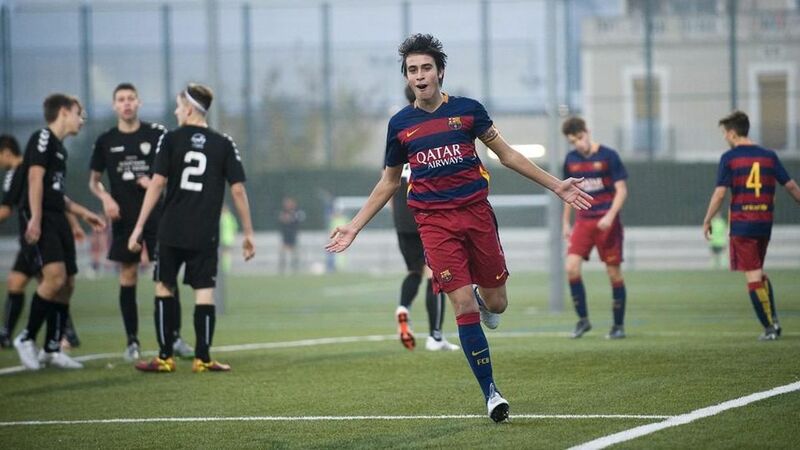 Barça said that Eric would be playing in the Juvenil B setup. Man City meanwhile promised Eric time with the first team (training) in his second season. Iván de la Peña and Carles Puyol did the best for their client – which is their job. Is La Masia falling apart? Jordi Mboula to Monaco, Eric García to Manchester City… there has always been a talent leak at La Masia, but Barça fans seem genuinely worried about the future of the famous institution. La Masia is not falling apart, it’s just in a weak moment. The players remain of a good quality and there are still some outstanding talents, but they are not understanding the modern young player enough. When they don’t, others will do. If Barça looked after their players properly, there would be not a great issue in La Masia. I think some restructuring and reassigning of duties is needed. Some players are like Mboula and García, they will see a poor sporting project then a better one elsewhere. But the majority do stay, they really do. There is just the odd case. This summer particularly, there have been more odd cases.